Kris Burke brought 5-year-old Macklin Burke out to the 20th annual Wurstfest on Saturday and they were most excited for the live auction, one of the event’s highlights each year. 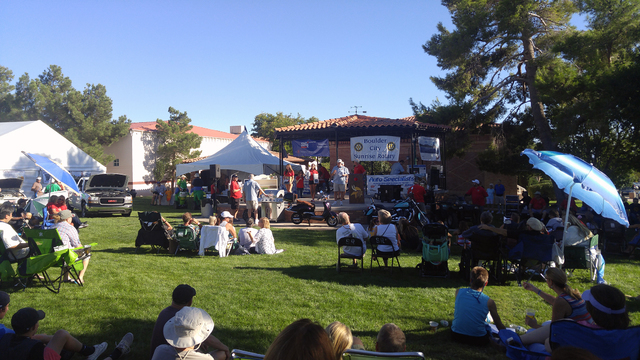 Hunter Terry/Boulder City Review Jeny and Jeff Breeden were excited to see so much of Boulder City come together at the 20th annual Wurstfest Saturday and according to Jeff, treasurer of the Boulder City Sunrise Rotary which put on the festival, that is what the event is all about. Hunter Terry/Boulder City Review Derek Banta and Jessica Kahn were among the hundreds of Boulder City and Southern Nevada residents that converged on Wilbur Square and Bicentennial parks on Saturday for the 20th annual Wurstfest. 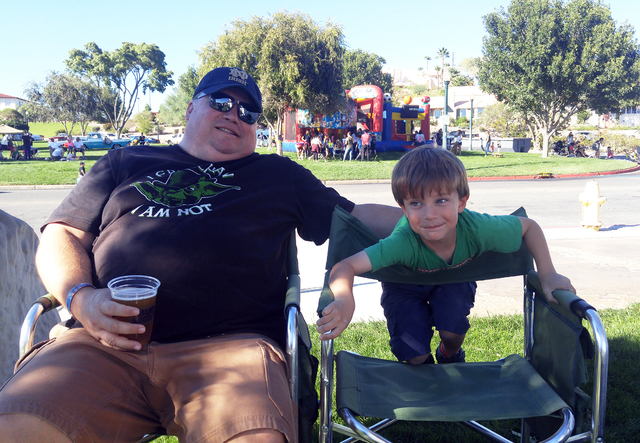 Hunter Terry/Boulder City Review Kris Burke brought 5-year-old Macklin Burke out to the 20th annual Wurstfest on Saturday and they were most excited for the live auction, one of the event's highlights each year. 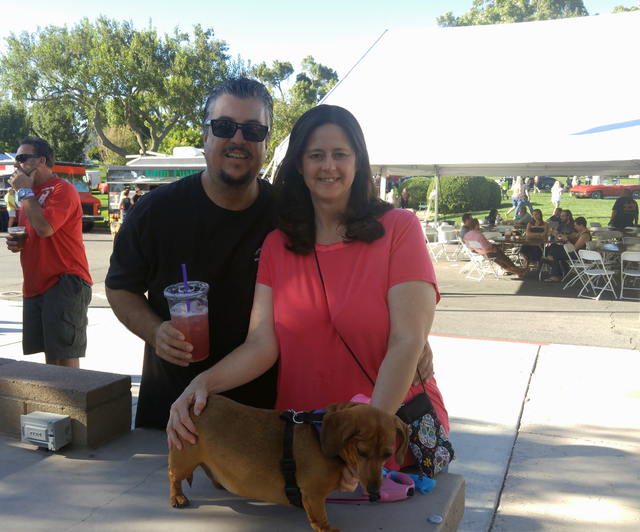 Hunter Terry/Boulder City Review Michael Cote and Tami Moore brought their dog Gracie to the Wurstfest on Saturday, as it has been an event that they love every year. They agreed that this time they did miss the freshly grilled brats. Hunter Terry/Boulder City Review Tami Leavittt, from left, Pania Carver and Summer Hood, couldn't decide what was the best part of the 20th annual Wursftest on Saturday, the live auction or the Wurst Dam Car Show. They all agreed, however, that they missed out on the bratwursts, which were served only by one of the food trucks this year. 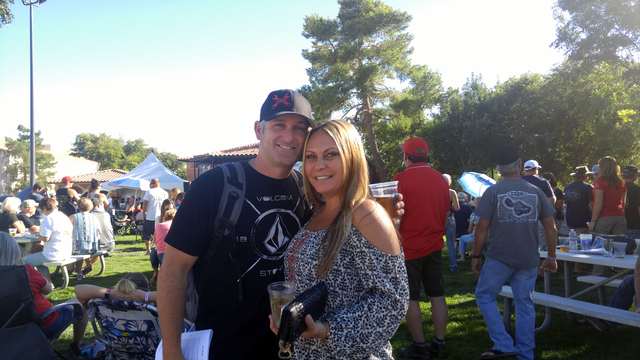 Derek Banta and Jessica Kahn were among the hundreds of Boulder City and Southern Nevada residents that converged on Wilbur Square and Bicentennial parks on Saturday for the 20th annual Wurstfest. 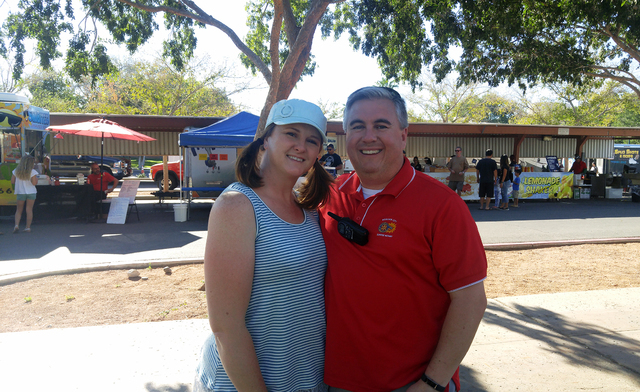 Jeny and Jeff Breeden were excited to see so much of Boulder City come together at the 20th annual Wurstfest Saturday, and according to Jeff, treasurer of the Boulder City Sunrise Rotary which put on the festival, that is what the event is all about. Michael Cote and Tami Moore brought their dog Gracie to the Wurstfest on Saturday, as it has been an event that they love every year. They agreed that this time they did miss the freshly grilled brats. 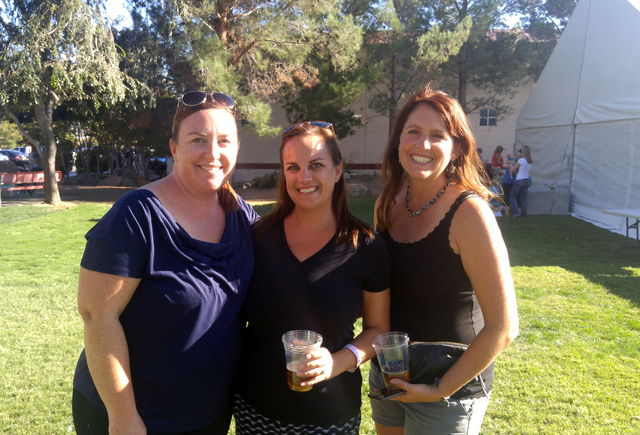 Tami Leavittt, from left, Pania Carver and Summer Hood, couldn’t decide what was the best part of the 20th annual Wursftest on Saturday, the live auction or the Wurst Dam Car Show. They all agreed, however, that they missed out on the bratwursts, which were served only by one of the food trucks this year. A motorcycle, vacation rentals and an all-terrain vehicle were just a few items up for bid during the live auction at the Wurstfest on Saturday, one of the highlights of the annual event.